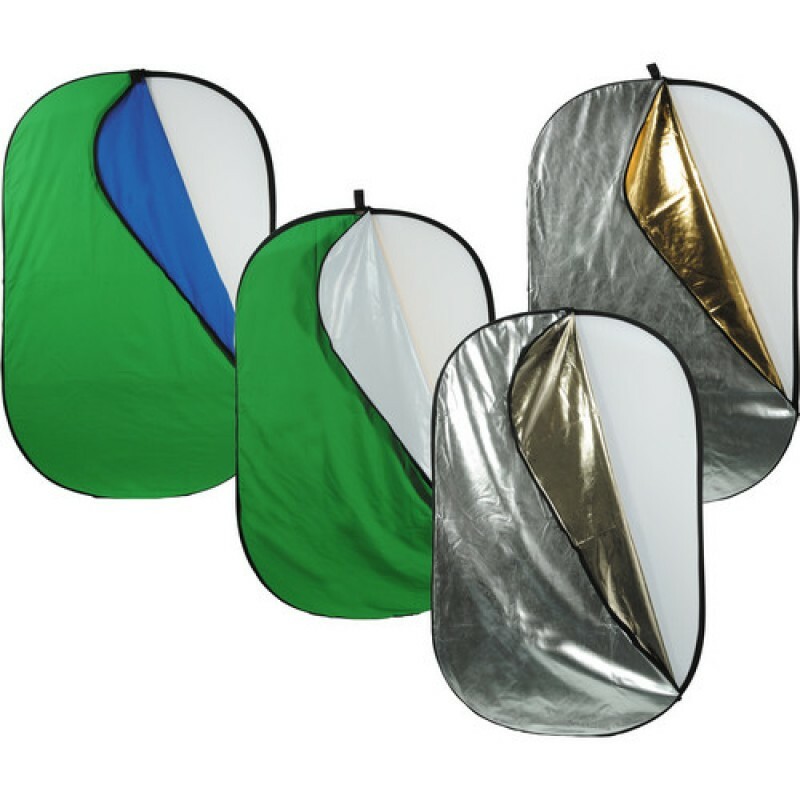 The Impact 7-in-1 Collapsible Reflector Disc (42 x 72") offers versatile light control with a variety of reflective colors. It's a 42 x 72" (1.06 x 1.82 m) spring steel frame covered with a heavy-duty pliable nylon blend translucent fabric, with additional fabric covers that slip over the reflector and provide white, gold, silver, and silver-gold reflectors, plus chroma green and chroma blue covers to provide chroma backgrounds. The translucent material is used to diffuse light, producing a broad light source and a soft, wraparound effect that's perfect for outdoor portraits or whenever a softer light is needed. White produces an even, neutral-colored bounce light that works beautifully as a fill light source for both product shots and indoor/outdoor portraits. 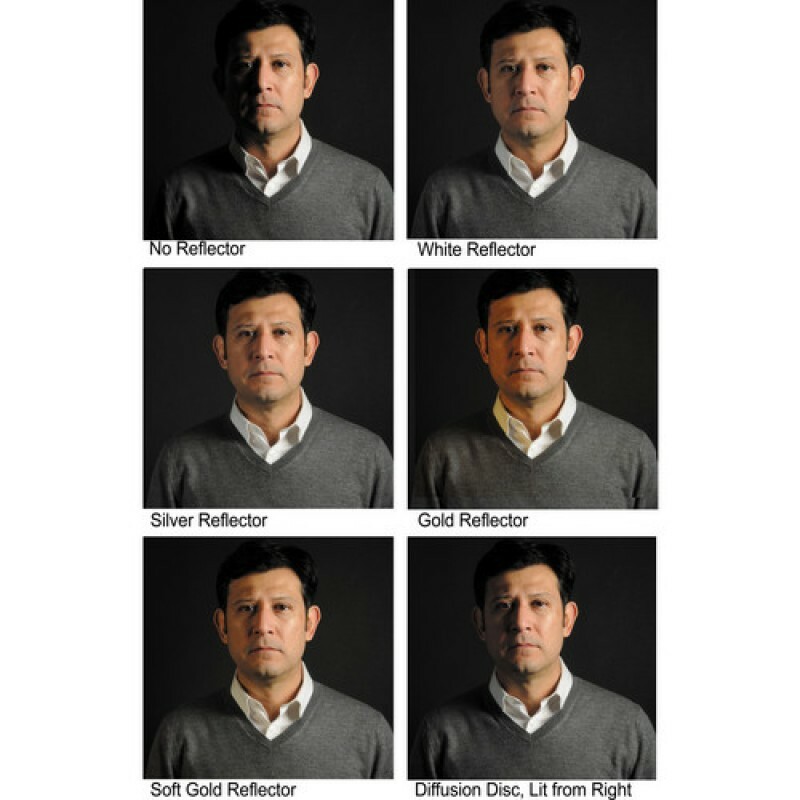 Gold produces a natural, golden fill that is great for jewelry and indoor portraits. Silver increases the specular highlights and yields a high-contrast image. Silver-gold gives you more contrast than gold, and warmer color than the silver. The blue and the green chroma-key fabrics turn the reflector into a chroma-key background. The frame folds down to approximately 1/3 of its full size, for convenient storage and transport.